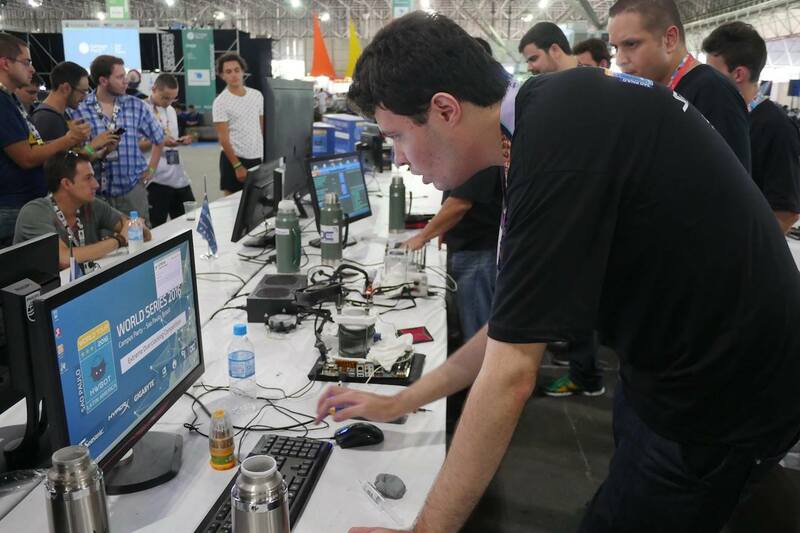 The HWBOT World Tour 2017 enjoyed its second stop just a week or so ago, taking part in the Campus Party event in Sao Paulo, Brazil. The centerpiece of every HWBOT World Tour stop is a chance for visitors to witness an Overclocking World Championship Qualifier contest. These are extreme overclocking contests were the region’s top overclocking talent compete head to head for the ultimate prize – a ticket to the OCWC Final at the end of the year. Today we bring you a full detailed article that covers all of the competitive action from the event courtesy of OC-ESPORTS. The final day of the Sao Paulo 2017 event was set aside for the OCWC Qualifier contest. Extreme overclockers had been present at the Campus Party event throughout the week, taking advantage of the copious LN2 provided. 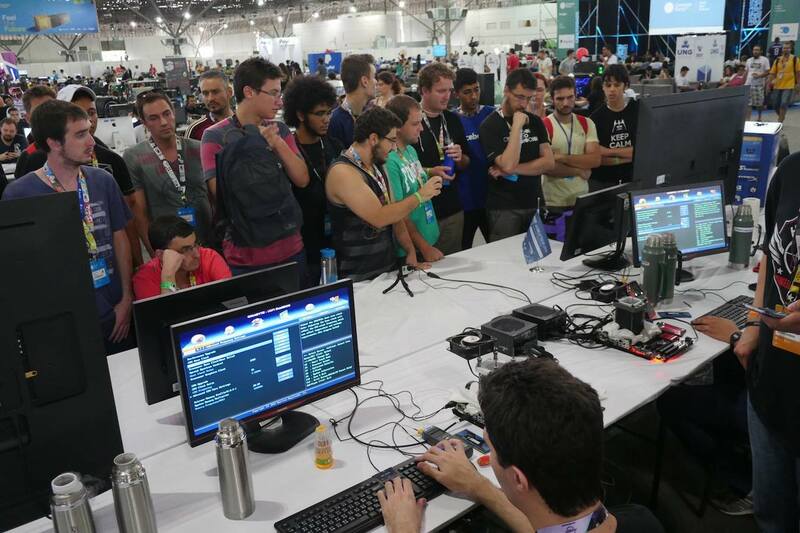 But as well as enjoy an OC Gathering, there was the serious matter of deciding which Brazilian Overclocker would be invited to compete in Berlin for the OCWC Final at the end of the year. After a qualifying day on February 3rd to decide which overclocker would face each other in the Semi’s, the roster was established. 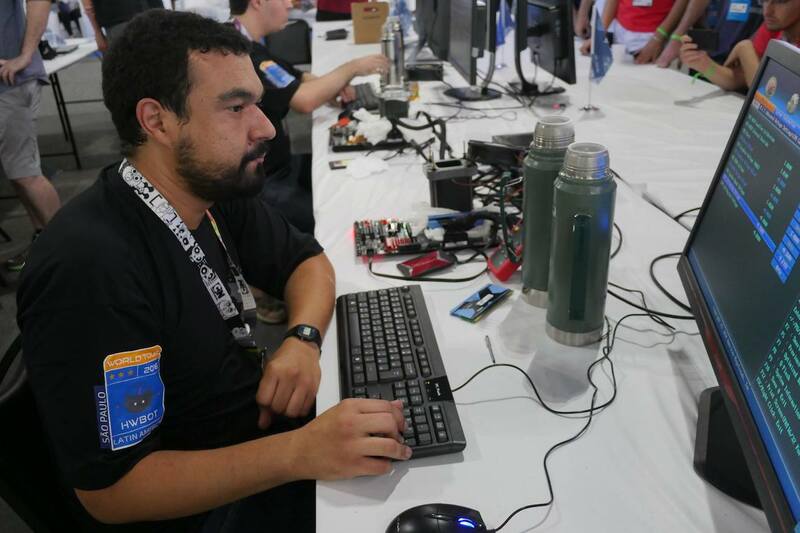 Semi Final 1 would be a contest between last year’s Latin American Champion PXHX and Renan0000, a newcomer to live Extreme overclocking and the HWBOT World Tour in general. The second Semi-Final would involve the highly respected and experienced joe90br and the country’s current No.1, Darkvenom. Firstly a reminder about the contest format. All Semi-Final, Bronze and Final matches in all HWBOT World Tour 2017 events use the same 1v1 match format. The format was developed and honed by the HWBOT team after many years of live overclocking experience. Designed to create an entertaining and exciting spectacle, 1v1 contests give overclockers exactly 30 minutes to score as highly as possible using a benchmark that is drawn at random by the contest judge. Benchmarks can be vetoed by the Overclockers at their discretion. One veto per Overclocker. CPUs are also drawn at random in the interest of fairness. The outcome is usually a pretty tense affair that makes for some engaging viewing. In the first Semi-Final match we had what could only be described as a slightly mismatched encounter between one overclocker who had managed to go all the way to the top the previous year, and another with very little or no live overclocking experience. Read the full and detailed round up article of the OCWC Sao Paulo Qualifier 2017 here on OC-ESPORTS.